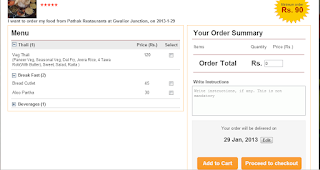 here user can place orders by phone, or their website. The Phone service service is available only between 9 am – 10 pm but you can place an order online instead. This is a statup effort by Pushpinder Singh who started this innovative idea to deliver food on Train.Pushpinder has graduated with a Masters in Science Degree in Computer Science from BITS- Pilani and B.Tech from IIT-BHU. 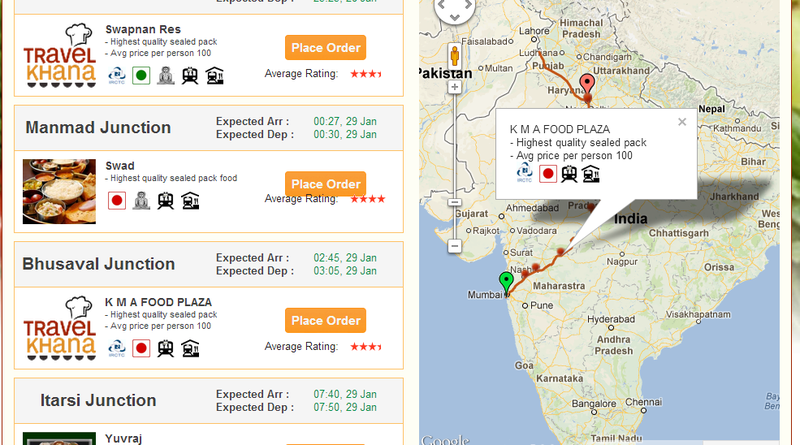 For booking meals, you can either use your train details, or your PNR . 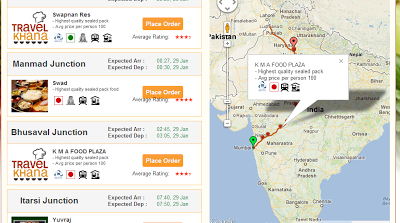 The listing gives you details regarding source of the meal, time of the train's arrival at a particular station, services available, and meal prices. These services include in-train deliveries as well as on platform service, depending on the place you pick from. 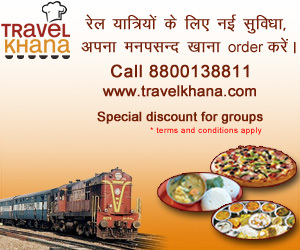 If you have filled source and destination of your journey then list of train will populates which is having this service,select the train from list and then list of Restaurant on various stops will be displayed. 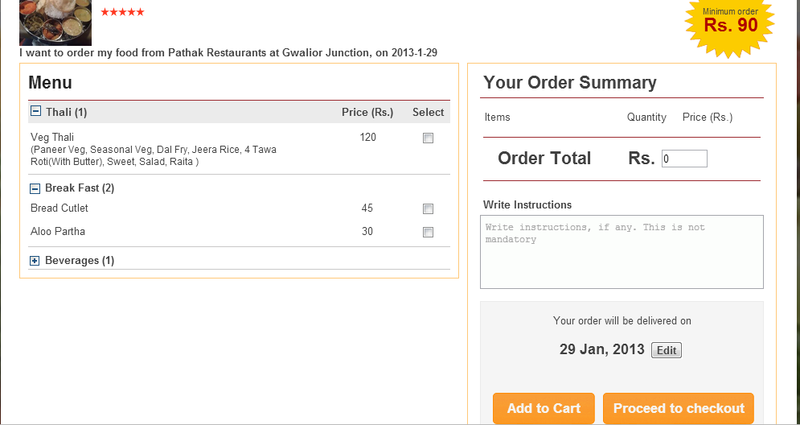 Select Restaurant of the stoppage and view it menu Once you place the order, fill in your details and get the order number, which can be used to track progress of your order. 2) Get food on particluar time at particular station. 8)Order will be taken till one hour before the scheduled arrival at the given station or till the time allowed by the particular restaurant.